In light of how absolutely ghetto McLovin’s camera is, I thought I’d post a recommendation for an upgrade. This would eliminate the redundancy on a battery and the picture quality would likely be much higher. 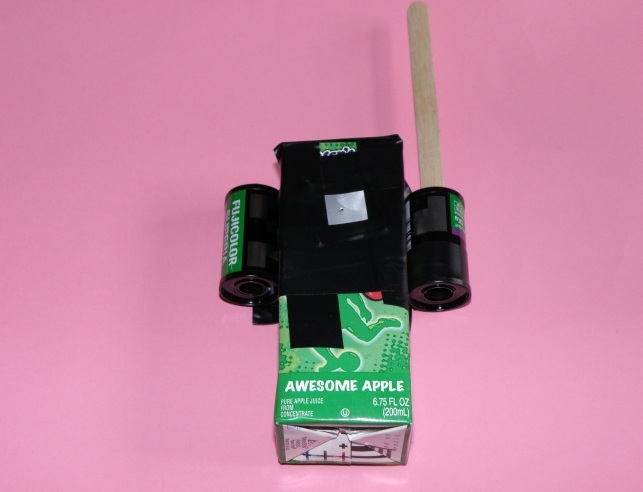 Ultralight materials, include electrical tape, a used juice box, a popsicle stick, some foil and some film rolls. It’s actually so easy to construct that a (my) six year old could do it! Takes much better pictures than a 1990 generation digital feel! This entry was posted in Smack. Bookmark the permalink.